Combining the unique heritage of gentlemen s tailoring with a progressive approach to street style, London is fast becoming the world s capital of men s fashion. 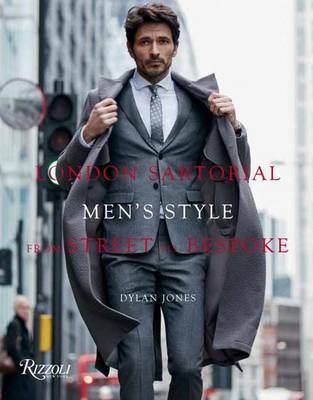 For this book, Dylan Jones presents a discerning sartorialist s guide to the capital, from London s coolest neighbourhoods to the studios of its most influential designers and beyond. Beginning with an exploration of London s chicest urban villages, the book reflects the extraordinary eclecticism of the city s street style from envelope-pushing streetwear in Shoreditch to classic tailoring in Mayfair. Forays into the coolest and hardest-to-find menswear shops in the city at once reveal the sources of the fashions on display and capture the atmosphere of the capital. At the heart of the book are profiles of London s top designers from world renowned brands to up-and-coming names, these are the designers whose work is shaping the future of menswear. Legends such as Paul Smith and Vivienne Westwood, whose flair for subversion colors their refinement, sit alongside younger designers such as Christopher Shannon and Agi and Sam, pioneers of bringing graphics and pattern to luxury streetwear. Icons of classic elegance such as Tom Ford and Burberry contrast with a new generation of designers, from Nigel Cabourn to Mr. Hare, whose redefined silhouettes and innovative materials take the traditions of Savile Row into the new millennium.